When the alignment of your car or truck is off, it can become apparent very quickly or slowly get worse over time. The most noticeable sign is that the vehicle will drift in one direction if you take your hands off the wheel, causing you to swerve to the left or right. Luckily, auto shops all over the country have the specialized equipment needed to adjust alignment back to the manufacturer’s specifications. These shops will typically offer either a two-wheel or four-wheel alignment. In most cases, car owners opt for a four-wheel alignment because the cost difference is negligible and it’s better to get all four wheels aligned at once. A car that is aligned properly will provide a smoother ride, better handling and keep your tires in better shape for longer. How Does Alignment Get Thrown Out of Whack? Any number of road hazards can impact your alignment. Potholes are notorious for throwing alignment off balance. One good hit is all it takes to damage a car badly enough that it starts veering off in one direction. Knocking your wheels into a curb when you’re trying to park can also have an impact on your alignment, as can running over any number of objects or debris on the roadway. Another consideration is time. Most mechanics will recommend having the alignment checked about once a year because the alignment of almost any car will get thrown off kilter over time as a result of bouncing around on the roadway. 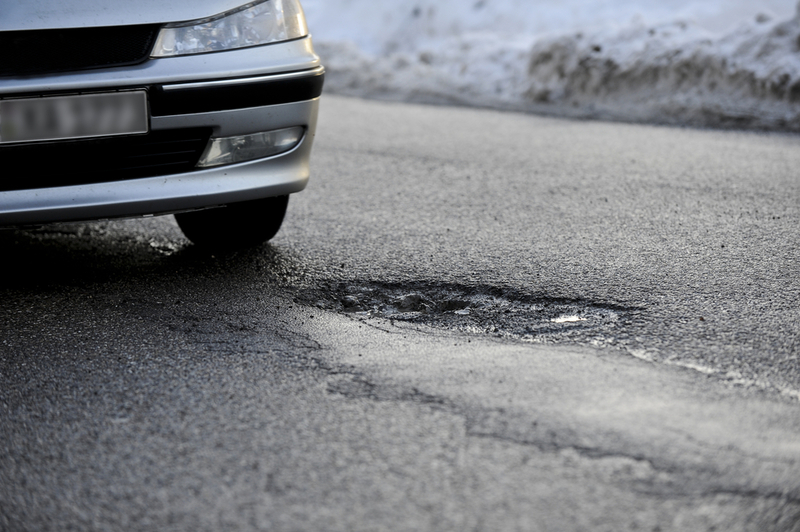 Those who live and drive on smooth, well-maintained roads will likely run into this issue less frequently than someone who lives on a dirt road or travels on old roads that aren’t maintained very often. Ignoring issues with your alignment will only create a host of other complications, which will get worse as you continue to neglect the problem. Here are a few ways in which this issue will hurt your car. According to AAA, wheel alignment issues create higher rolling resistance. Higher resistance not only causes your tires to wear out faster but will also lower fuel economy. As the alignment problem gets worse, so does the handling of your car. This could eventually cause a safety issue, making it more difficult to come out of turns and control your car. You’re better off getting it fixed and reducing the risk of an accident. Camber refers to the angle of a vehicle’s wheels and is measured in degrees. When the top of a wheel is tilted out, it is referred to as a positive camber. When the top of the wheel is tilted inward, it is called negative camber. Having a camber that is out of adjustment causes several issues that will harm a vehicle if ignored. Rapid and irregular wear on the tires is among the most noticeable and immediate issues. Instead of wearing taking place evenly across the tread, premature wear will be focused either on the inside or outside of the tire, depending on whether the camber is positive or negative. Positive and negative camber may also be a sign of other issues with a vehicle, such as worn springs or bad ball joints. Damage from car accidents may also cause issues with camber. Caster can be a little harder to visualize, but the appropriate setting is essential to proper handling at higher speeds. A caster line describes whether the pivot axis is pointed forward, or toward the rear. A negative caster is angled toward the front of a vehicle while a positive caster angles toward the rear. Positive caster will help a vehicle maintain stability at higher speeds, while negative will provide easier steering. Too little caster could cause the vehicle to “wander” or make the wheels shake, sort of like pushing a shopping cart too fast. Every car manufacturer sets casters to a specific angle to achieve optimal handling for the everyday driver. Casters that deviate from the original setting will cause a vehicle to veer off to the left or right. The terms toe-in or toe-out are used to describe wheels that don’t match the centerline of a vehicle. If the distance between the front of a tire and the back of the tires is exactly the same, then the wheels are aligned. However, if the front of the tires are closer together than the back, this would cause a toe-in issue. When the front of the tires are farther apart, the term is toe-out. The specifications as to how the front and rear tires are set is determined by the vehicle manufacturer. Mechanic shops will use specialized equipment to ensure the tires are aligned to those specifications. A toe setting that is as little as 1/32 of an inch off can cause alignment problems, so precision is key. How Much Does 4 Wheel Alignment Cost? The price of a four-wheel alignment will vary based on service provider and by state. In most states, independent and local automotive shops tend to offer lower prices than dealerships. The cost of alignment will also differ based on other circumstances, including the type of vehicle you drive, the possibility that additional parts may be required and whether or not you opt for an extended warranty on the service. Of course, the most important factor is the shop you choose to perform the work. That’s why comparison shopping is essential. You should use Blitzify’s Auto Repair Estimator to see which repair locations in your area are offering the best price for this service. As a general rule of thumb, you should plan on spending anywhere between $70 and $107 for an alignment job. The lower price point is often for a single alignment. However, most mechanics will recommend doing a full four-wheel alignment. It’s typically a good idea to have all four wheels aligned at the same time to ensure your alignment is correct on all four wheels. The cost difference between a front wheel alignment and four-wheel alignment is not usually very significant, making it worth the few extra dollars. If you drive a truck, the cost of alignment may increase because trucks are large and not as easy to work with as cars. This is important to keep in mind when you are shopping for a quote. Are People Paying Too Much? Why? Unfortunately, people all over the country do indeed end up paying too much for this service. The primary reason is inadequate comparison shopping. While the process of alignment is standard procedure across all automotive shops, the price can vary greatly based on the company you choose to do the work. It’s critical to shop around and compare quotes, but this typically requires calling around to several shops in your area. We started Blitzify to provide consumers with a better option by allowing them to compare prices for any automotive service online. Blitzify makes the process much easier. We’ll show you which four shops are offering the best price on a four-wheel alignment in your area along with the proximity to you. Instead of calling around or visiting multiple shops, you’ll see which shops are offering the best deal. While the process of alignment is standard procedure across all automotive shops, the price can vary greatly based on the company you choose to do the work. It's critical to shop around and compare quotes, but this typically requires calling around several shops in your area. Blitzify makes the proces much easier. We'll show you which four shops are offering the best price on four-wheel alignment in your area along with the proximity to you. Instead of calling around or visiting multiple shops, you'll see which shops are offering the best deal. The cost that shops charge for labor will vary. If you notice a significant price difference for the same service, it could be a result of one shop having a higher labor cost. While the same parts are involved in four-wheel alignment, the quality of those parts will have an impact on the price. Shops using high-quality parts might charge a little more for the service. 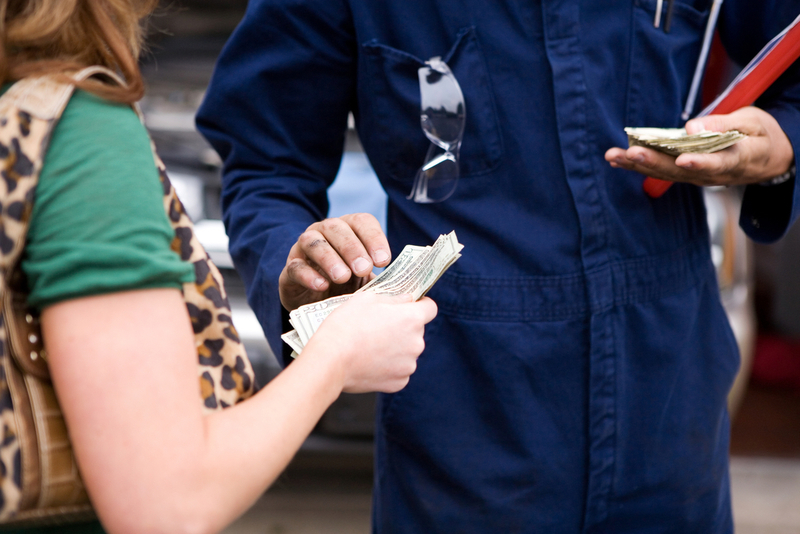 When parts and labor are under warranty, this will have an impact on the price of the service. The term of the warranty is also an important factor when it comes to pricing. For instance, a four-wheel alignment with a six-month warranty will typically cost less than one with a one-year warranty. How Do You Know You're Choosing the Right Service Shop? When you pay someone to work on your vehicle, it’s important to know that the shop you choose is fully qualified and will perform the work to the highest level of excellence. There are a few key factors to keep in mind. ASE is the universal certification system used in the United States. Auto shops that earn this designation are carefully tested to ensure they have the knowledge and experience to do the job right. Depending on the make of your car, you may have to find a repair shop that specializes in the working on particular types of vehicles. Is the shop close to your home? Picking a convenient location will make things a lot easier, especially if you need to leave your car overnight. With Blitzify, we do the research and put the results right at your fingertips. All of the service providers listed on our site are fully qualified. We'll show you which shops are providing the service in your area along with the price. Pick the shop that works best for you. How Does Alignment Repair Work? The shop you choose will perform an initial alignment check to get a good idea of exactly how far out of alignment your vehicle is at the time of repair. Many shops will also perform a road test to see of any other systems need attention. It’s important to remember that you are not obligated to have other services performed outside of the core alignment. If the shop you choose recommends additional services such as suspension or other repairs, you are well within your rights to get a second opinion. Modern automotive repair shops use specialized equipment and sensors to ensure accuracy. Computer diagnostics are used to make sure the alignment is performed to match a vehicle’s factory specifications. Tools designed specifically for alignment are used to get all four wheels precisely into the right position. How Often is Alignment Needed? Manufacturers typically recommend having the alignment checked or adjusted every 10,000 miles. However, this is more of a general rule. Those who live in areas with rough roadways or lots of dirt roads may need to have the alignment checked more often. On the other hand, people who drive less often, and on smooth road surfaces won’t need to have alignment adjustments quite so often. Aside from keeping track of your mileage, there are certain warning signs to pay attention to that could help you realize it’s time to have your alignment checked. If you are experiencing any of the problems mentioned above, you should consider having your alignment checked out regardless of the mileage. It is not uncommon for car owners to have their tire balanced at the same time an alignment adjustment is being performed. This is usually just a minor expense of $10 or $12 per tire. The balance will be performed after the alignment is reset to the factory specifications. The mechanic will them place the tires on a balancing machine and add or remove weights until any imbalances are eliminated. Unbalanced wheels will cause a slight to very noticeable vibration when driving. The first key to saving money on alignment is comparison shopping. Use Blitzify to find out which service providers in your area are offering the best price. You can also cut down on the cost by forgoing the warranty. This is a good option if you don’t plan on keeping your vehicle long-term, or if you are confident you won’t need the alignment fixed for a while. Keeping an eye out for deals is also a good idea. Shops frequently run specials on services in hopes of attracting new customers. Look for coupons either in the mail or online promotional codes. When it’s time to schedule a four-wheel alignment, getting a great price on quality service is relatively easy. Use our online tool to find out exactly how much shop in your area are charging for a four-wheel alignment. Using Blitzify will provide you with the peace of mind that comes with knowing you chose a qualified and reputable mechanic at a great price. Start comparison shopping now to see just how easy it is.